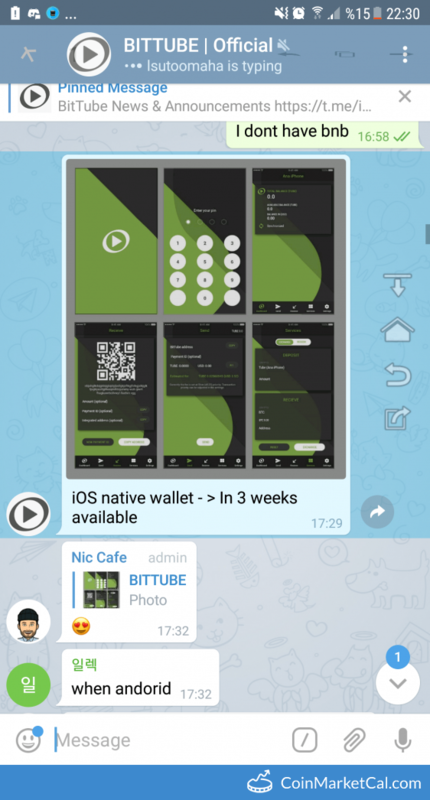 BitTube (TUBE) - Events, Price, Market Cap, Supply, Exchanges and more! AirTime module for integration on websites. 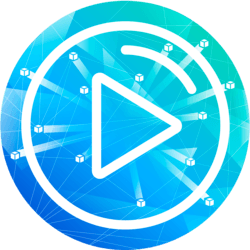 Monetize your website and earn TUBES from your visitors. "The next fork will happen at block height 268000 on 7th of February.. There will be a second fork 720 blocks 1 day later." "Block 140,000 (early August): Airtime is activated." 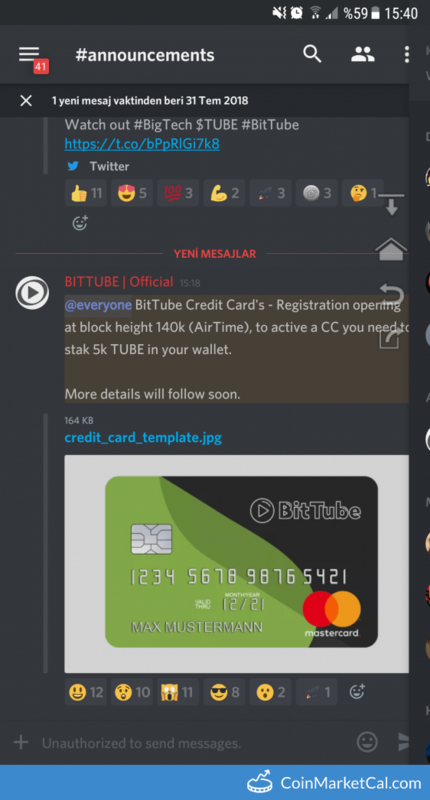 "BitTube Credit Card's - Registration opening at block height 140k, to active a CC, you need to stake 5k TUBE in your wallet." "Airtime/PoV update and mining algorithm change to CN Heavy custom at block 110k(1-2 July)." 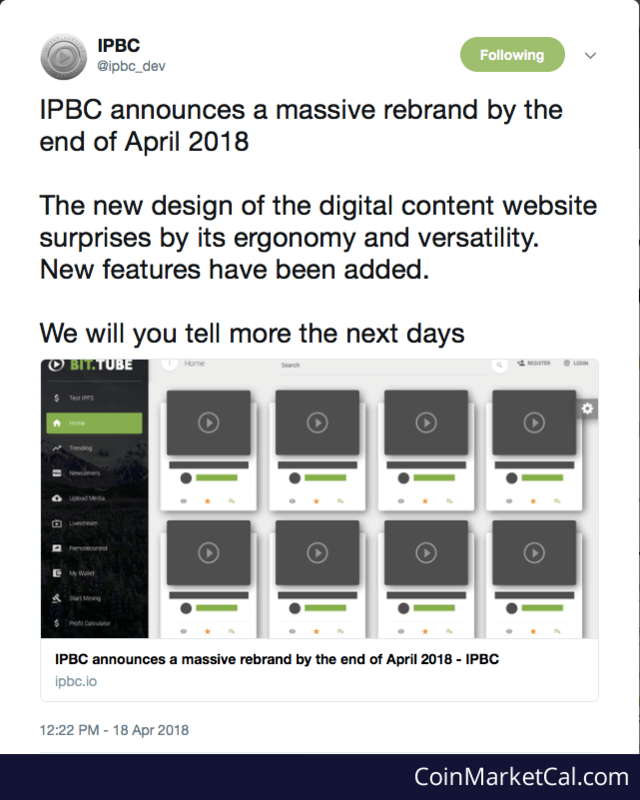 IPBC will undergo a massive rebrand by the end of April 2018 New design of the digital content website & new features. 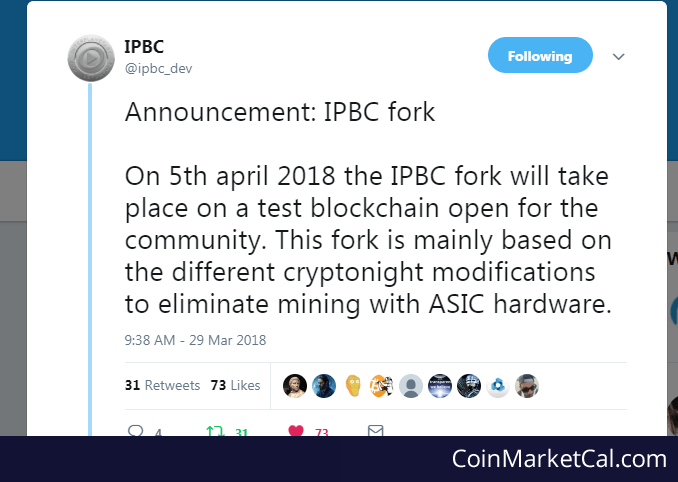 IPBC becomes ASIC resistant on testnet. The fork is planned to be ported to mainnet soon.